Taliesin West began not as a grand scheme, but a simple need. Frank Lloyd Wright and his apprentices had traveled a long distance from his Taliesin school in Spring Green, Wisconsin to build a resort hotel in Chandler, Arizona. Because they were far from home, they set up camp on a stretch of the Sonoran Desert near the construction site outside of Scottsdale. Wright fell in love with the desert. He wrote in 1935 that the desert was a "grand garden," with "its rim of arid mountains spotted like the leopard's skin or tattooed with amazing patterns of creation." Its "sheer beauty of space and pattern does not exist, I think, in the world," Wright proclaimed. "This great desert garden is Arizona's chief asset." The early encampment at Taliesin West contained little more than temporary shelters made of wood and canvas. However, Frank Lloyd Wright was inspired by the dramatic, rugged landscape. He envisioned an elaborate complex of buildings that would embody his concept of organic architecture. He wanted the buildings to evolve from and blend with the environment. In 1937, the desert school known as Taliesin West was launched. Following in the tradition of Taliesin in Wisconsin, Wright's apprentices studied, worked, and lived in shelters they crafted using materials native to the land. Taliesin is a Welsh word meaning "shining brow." Both of Wright's Taliesin homesteads hug the contours of the earth like a shining brow on the hilly landscape. Architectural historian G. E. Kidder Smith reminds us that Wright taught his students to design in "kinship" with the environment, "admonishing students, for instance, not to build on top of a hill in dominance, but beside it in partnership." This is the essence of organic architecture. Lugging stone and sand, the students constructed buildings that seemed to grow from the earth and the McDowell Mountains. Wood and steel beams supported translucent canvas roofs. Natural stone combined with glass and plastic to create surprising shapes and textures. Interior space flowed naturally into the open desert. For awhile, Taliesin West was a retreat from the harsh Wisconsin winters. Eventually, air conditioning was added and students stayed through the fall and spring. At Taliesin West, the desert is never still. 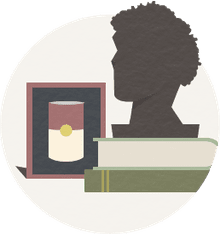 Over the years, Wright and his students made many changes, and the school continues to evolve. Today, the 600 acre complex includes a drafting studio, Wright's former architectural office and living quarters, a dining room and kitchen, several theaters, housing for apprentices and staff, a student workshop, and expansive grounds with pools, terraces and gardens. Experimental structures built by apprentice architects dot the landscape. Taliesin West is home of the Frank Lloyd Wright School of Architecture, whose alumni become Taliesin Fellows. Taliesin West is also the headquarters of the FLW Foundation, a powerful overseer of Wright's properties, mission, and legacy. In 1973 the American Institute of Architects (AIA) gave the property its Twenty-five Year Award. On its fiftieth anniversary in 1987, Taliesin West won special recognition from the U.S. House of Representatives, which called the complex "the highest achievement in American artistic and architectural expression." 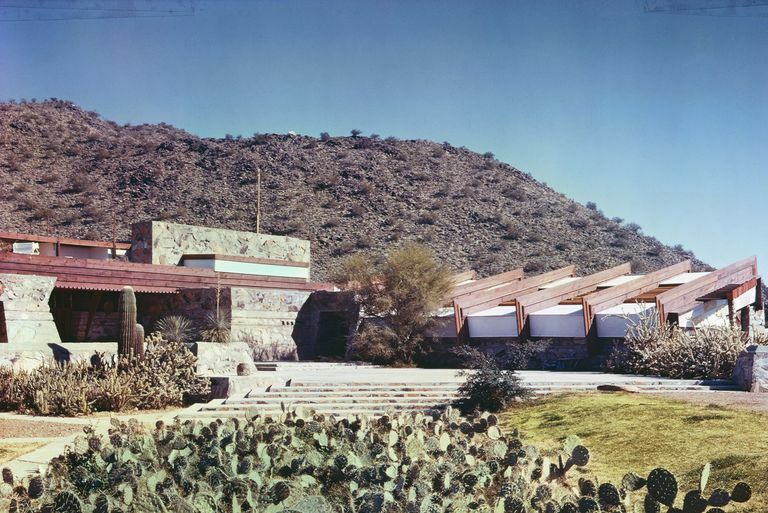 According to the American Institute of Architects (AIA), Taliesin West is one of 17 buildings in the United States that exemplify Wright's contribution to American architecture. "Next to Wisconsin, 'gathering of the waters,'" Wright has written, "Arizona, 'arid zone,' is my favorite State. Each very different from the other, but something individual in them both not to be found elsewhere."